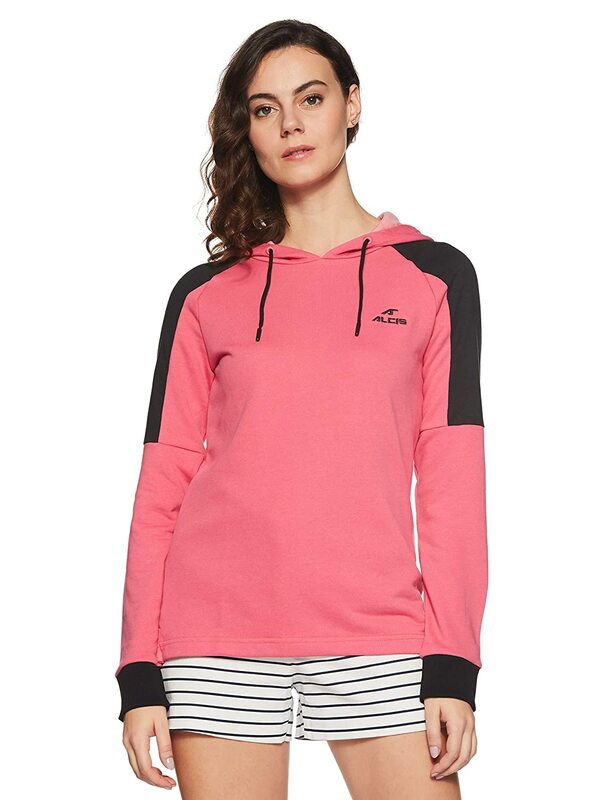 Designed with brand logo on the front, this pink coloured hooded sweatshirt from the house of ALCiS exudes trendy verve. The polyester fabric ensures breathability and total comfort all day long. 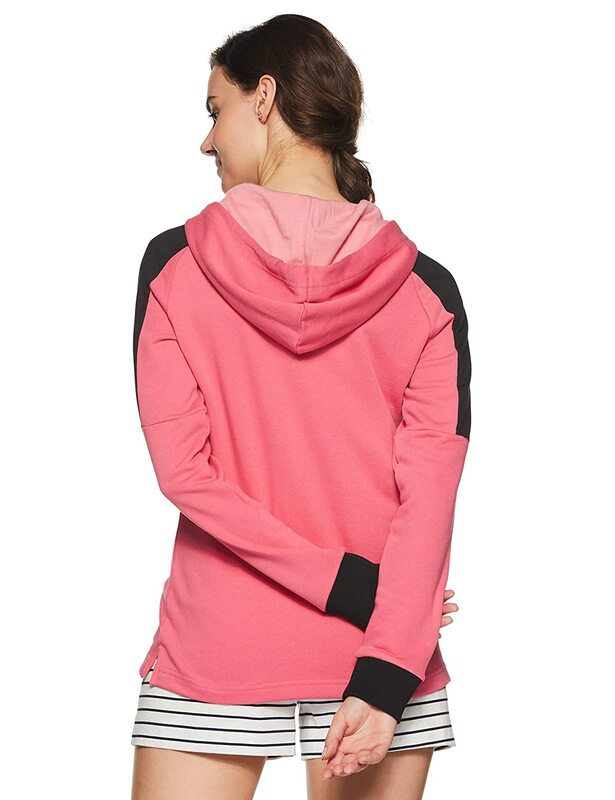 Pair up this hoodie with tights and sports shoes.